The Tenth Planet is an important serial for multiple reasons. First and foremost, it's important because it's the final serial in the First Doctor era. Some say that William Hartnell's contract had not been renewed over concerns about his failing health. While some others suggest that Hartnell's clashing with the production staff had finally reached a tipping point. It could easily be an either/or situation or a combination of both factors. Christopher Eccleston (the Ninth Doctor) has suggested in interviews that he left Doctor Who after one series because of his own conflicts with the show's producers. And Hartnell's health and memory problems had been a concern for a while before this point. In either case, it was the concept of regeneration and the choice of the Hartnell's successor that allowed the show to continue on for decades after this serial. 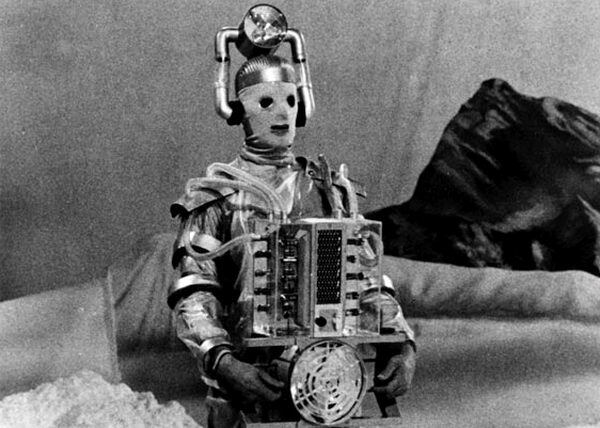 The Tenth Planet is also important because it features the debut of the Cybermen, Doctor Who's most popular reoccurring enemies after the Daleks. This first batch of Cybermen is a bit different from the ones that would pop up later on down the line. Their hands are still human and some of their facial features are still visible behind their masks. Their voices have not become entirely mechanical yet either, giving them a strange speech pattern. They make a great impression in this serial too. Their planet, Mondas, arrives in Earth's solar system, causing all sorts of problems for the Doctor, his companions and the folks at the secret military base at the South Pole. The Cybermen are smart and coldly calculating but not above killing people with their bare hands. And though their features would continually change with each new appearance, it's clear to see why they've resonated with the show's writers and fans.